Become an airline pilot! Join our 0 – fATPL course, the most complete aviation training program that rigorously prepares you for a successful career as a professional pilot. This 18 month program is widely recognized throughout the industry with many of our graduates hired by airlines in 2018. The ATPL theory is based on distance learning. Students are allowed to return home during this time and prepare for the exams from there. Payments for the 0 – fATPL are per module and can be spread over the duration of the training. 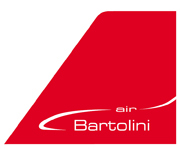 If you are interested in our 0 – fATPL program, please call us on +48 508194180 or send an email to akapela@bartoliniair.com .